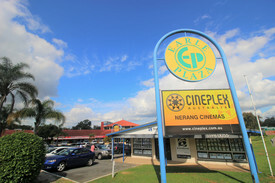 59 Commercial Real Estate & Properties in Nerang are listed in 7 categories. We have 18 OfficesSale & Lease , 14 Industrial Warehouses Sale & Lease , 13 Retail ShopsSale & Lease , 8 ShowroomsSale & Lease , 4 Development LandsSale & Lease and 1 Medical and Consulting PropertiesSale & Lease . 87m² Ground floor Excellent signage on building front of complex Ducted air conditioning maintained by the Landlord Outgoings included Call Teresa to arrange an inspection Approximately Disclaimer: Ray White has not independently checked any of the information we merely pass on. We make no comment on and give no warranty as to the accuracy of the information contained in this document which does not constitute all or any part of any offer or contract by the recipient. Prospective purchasers / lessees must rely on their own enquiries and should satisfy themselves as to the truth or accuracy of all information given by their own inspections, searches, inquiries, advices or as is otherwise necessary. No duty of care is assumed by Orchid Avenue Realty trading as Ray White Surfers Paradise Commercial divisions toward the recipient with regard to the use of this information and all information given is given without responsibility. Rare Quality Warehouse With Exclusive Use Hardstand - Be Quick! $3,300 Per Month + GST In..
130m² functional open plan Storage mezzanine Immaculately presented Epoxied floors Multiple signage options + street exposure Ample secure concrete hardstand 2x Industrial roller doors Electric gate + wide driveway Fully fenced and landscaped 2 x split system air conditioners Abundance of natural light 3 Phase power Exclusive amenities including shower Metres from M1 Pacific Motorway Don't miss this rare opportunity! Contact Brandon Johnson to inspect 7 days! Approx Disclaimer: Ray White has not independently checked any of the information we merely pass on. We make no comment on and give no warranty as to the accuracy of the information contained in this document which does not constitute all or any part of any offer or contract by the recipient. Prospective purchasers / lessees must rely on their own enquiries and should satisfy themselves as to the truth or accuracy of all information given by their own inspections, searches, inquiries, advices or as is otherwise necessary. No duty of care is assumed by Orchid Avenue Realty trading as Ray White Surfers Paradise Commercial divisions toward the recipient with regard to the use of this information and all information given is given without responsibility. 300m2 of prime warehouse and office space Warehouse 120m2 with the rest being corporate office and amenities split over two levels 4 Car parks High clearance roller door Immaculate fit out Conveniently located on busy Lawrence Drive Don't miss this opportunity Approx Disclaimer: Ray White has not independently checked any of the information we merely pass on. We make no comment on and give no warranty as to the accuracy of the information contained in this document which does not constitute all or any part of any offer or contract by the recipient. Prospective purchasers / lessees must rely on their own enquiries and should satisfy themselves as to the truth or accuracy of all information given by their own inspections, searches, inquiries, advices or as is otherwise necessary. No duty of care is assumed by Orchid Avenue Realty trading as Ray White Surfers Paradise Commercial divisions toward the recipient with regard to the use of this information and all information given is given without responsibility. Conveniently Located Office Space - Must Be Leased! $2,320 Per month + GST in..
116m2 first floor office 5 private offices, large open plan space and boardroom Fully air conditioned Great parking Easy M1 access Be quick, This must be leased! approx. Please contact the listing agent for more details by clicking on the link above. Disclaimer: Ray White has not independently checked any of the information we merely pass on. We make no comment on and give no warranty as to the accuracy of the information contained in this document which does not constitute all or any part of any offer or contract by the recipient. Prospective purchasers / lessees must rely on their own enquiries and should satisfy themselves as to the truth or accuracy of all information given by their own inspections, searches, inquiries, advices or as is otherwise necessary. No duty of care is assumed by Orchid Avenue Realty trading as Ray White Surfers Paradise Commercial divisions toward the recipient with regard to the use of this information and all information given is given without responsibility. 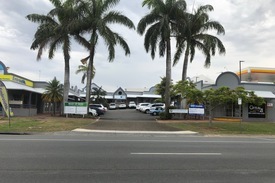 Entire Industrial Complex  100% Leased With Upside Auction, Thursday 25th Oc..
Well positioned within the popular Nerang industrial precinct $167,900 Current Nett Income Land area 5639m2 with 2,364m2 fully leased yard area Building area 1,333m2 Conservative current rental rates, ample room for short term income upside 5 units plus 4 yard areas, fully leased to 6 tenants Highly sought after by tenants industrial precinct Within very close approximately of the M1 Highway Low risk, multi tenanted investment opportunity ( approx) This property is being sold by auction or without a price and therefore a price guide can not be provided. The website may have filtered the property into a price bracket for website functionality purposes. Ray White has not independently checked any of the information we merely pass on. We make no comment on and give no warranty as to the accuracy of the information contained in this document which does not constitute all or any part of any offer or contract by the recipient. Prospective purchasers / lessees must rely on their own enquiries and should satisfy themselves as to the truth or accuracy of all information given by their own inspections, searches, inquiries, advices or as is otherwise necessary. No duty of care is assumed by Orchid Avenue Realty trading as Ray White Surfers Paradise Commercial divisions toward the recipient with regard to the use of this information and all information given is given without responsibility. 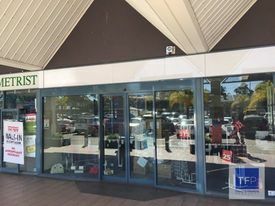 260m2 of sought after showroom with M1 exposure Great access for trucks Ample onsite street parking Exclusive amenities Excellent signage opportunity Office, Showroom Warehouse space Instructions are clear, this must be leased! Enquire today Approx Disclaimer: Ray White has not independently checked any of the information we merely pass on. We make no comment on and give no warranty as to the accuracy of the information contained in this document which does not constitute all or any part of any offer or contract by the recipient. Prospective purchasers / lessees must rely on their own enquiries and should satisfy themselves as to the truth or accuracy of all information given by their own inspections, searches, inquiries, advices or as is otherwise necessary. No duty of care is assumed by Orchid Avenue Realty trading as Ray White Surfers Paradise Commercial divisions toward the recipient with regard to the use of this information and all information given is given without responsibility. 800m² warehouse Inc. 150m² office space over 2 levels Massive amount of 3 Phase Power Ample parking Main road frontage with high exposure xignage on Lawrence Drive Owner will consider all genuine offers. Approx Disclaimer: Ray White has not independently checked any of the information we merely pass on. We make no comment on and give no warranty as to the accuracy of the information contained in this document which does not constitute all or any part of any offer or contract by the recipient. Prospective purchasers / lessees must rely on their own enquiries and should satisfy themselves as to the truth or accuracy of all information given by their own inspections, searches, inquiries, advices or as is otherwise necessary. No duty of care is assumed by Orchid Avenue Realty trading as Ray White Surfers Paradise Commercial divisions toward the recipient with regard to the use of this information and all information given is given without responsibility. 400m2 1400m2 of space available Nestled in a busy business precinct Easy access to M1 Incentives on offer Enquire today. Approx. Disclaimer: Ray White has not independently checked any of the information we merely pass on. We make no comment on and give no warranty as to the accuracy of the information contained in this document which does not constitute all or any part of any offer or contract by the recipient. Prospective purchasers / lessees must rely on their own enquiries and should satisfy themselves as to the truth or accuracy of all information given by their own inspections, searches, inquiries, advices or as is otherwise necessary. No duty of care is assumed by Orchid Avenue Realty trading as Ray White Surfers Paradise Commercial divisions toward the recipient with regard to the use of this information and all information given is given without responsibility. If you're looking for a quality office or showroom space for your business look no further. Located on the corner of two of Nerang's highest profile streets (Spencer Road Lawrence Drive) and 1 kilometre away to the entry and exit heading South North to the M1 Pacific Highway. 1 x 260m2 high exposure showroom 3 x 126m2 quality open plan office space Air conditioned Kitchenette Great parking Exclusive amenities Abundance of natural light Inspect 7 Days For further information please contact Brandon Johnson Approx Disclaimer: Ray White has not independently checked any of the information we merely pass on. We make no comment on and give no warranty as to the accuracy of the information contained in this document which does not constitute all or any part of any offer or contract by the recipient. Prospective purchasers / lessees must rely on their own enquiries and should satisfy themselves as to the truth or accuracy of all information given by their own inspections, searches, inquiries, advices or as is otherwise necessary. No duty of care is assumed by Orchid Avenue Realty trading as Ray White Surfers Paradise Commercial divisions toward the recipient with regard to the use of this information and all information given is given without responsibility. Office With M1 Exposure $375 per week + outgoings..
122m2 1st level office Close to M1 great parking Kitchenette Great open plan office Incentives on offer Enquire today Approx Disclaimer: Ray White has not independently checked any of the information we merely pass on. We make no comment on and give no warranty as to the accuracy of the information contained in this document which does not constitute all or any part of any offer or contract by the recipient. Prospective purchasers / lessees must rely on their own enquiries and should satisfy themselves as to the truth or accuracy of all information given by their own inspections, searches, inquiries, advices or as is otherwise necessary. No duty of care is assumed by Orchid Avenue Realty trading as Ray White Surfers Paradise Commercial divisions toward the recipient with regard to the use of this information and all information given is given without responsibility. Functional Open Plan Warehouse - Act Now! $40,200 + GST including O..
Brandon Johnson as exclusive agents are pleased to present unit at 11/20 O'Shea Drive, Nerang. Prominently positioned within one of the city's most central industrial estates, the property is within close proximity to major arterial roads, including the M1 Motorway and Nerang Broadbeach Road 335m2 Open Plan Warehouse Small office Direct access Internal shower Excellent internal height Small boutique complex Abundance of natural light Ample car parking Contact exclusive agents to inspect 7 Days Approx Disclaimer: Ray White has not independently checked any of the information we merely pass on. We make no comment on and give no warranty as to the accuracy of the information contained in this document which does not constitute all or any part of any offer or contract by the recipient. Prospective purchasers / lessees must rely on their own enquiries and should satisfy themselves as to the truth or accuracy of all information given by their own inspections, searches, inquiries, advices or as is otherwise necessary. No duty of care is assumed by Orchid Avenue Realty trading as Ray White Surfers Paradise Commercial divisions toward the recipient with regard to the use of this information and all information given is given without responsibility. Multiple Vacancies In Newly Refurbished Building - Available Now From $295m2 Including out..
158m2 Ground floor office/retail space 110m2 Ground floor office space 222m² office space full floor tenancy Professional centre excellent street exposure Incentives on offer for the right tenant Freshly painted throughout Great surrounding street parking Immaculately presented foyer / reception Abundance of natural light Fully ducted air conditioning 24 hour access Exclusive amenities#8203; Centrally located On site manager Don't miss this opportunity For further information please contact Brandon Johnson click on the link above. Approximately Disclaimer: Ray White has not independently checked any of the information we merely pass on. We make no comment on and give no warranty as to the accuracy of the information contained in this document which does not constitute all or any part of any offer or contract by the recipient. Prospective purchasers / lessees must rely on their own enquiries and should satisfy themselves as to the truth or accuracy of all information given by their own inspections, searches, inquiries, advices or as is otherwise necessary. No duty of care is assumed by Orchid Avenue Realty trading as Ray White Surfers Paradise Commercial divisions toward the recipient with regard to the use of this information and all information given is given without responsibility.